Is Technology Altering Your Brain? Presented by Chris Smith, Dave Ansell, Hannah Critchlow. Is modern technology changing your brain? How fast does flu fly? Can you build a lightsaber? Your questions are the stars on the Naked Scientists this week, as we discuss the implications of faster-than-light travel, the risks of skydiving through a thundercloud, and ask if dogs can sniff out cancer. Plus, we find out how the brain detects different diets, what happens when black holes collide, and in Kitchen Science, how a coin can make a balloon roar! 01:41 - If you skydive through a thunderstorm, could you be struck? If you skydive through a thunderstorm, could you be struck? Andrew - Well, I was wondering. If you were to sky dive through an active storm cloud, assuming that lightning strikes were occurring, are you at particular risk of getting struck? And if you were to be struck, would the result be the same as if you were standing on the ground? Chris - Do you partake in such dangerous pursuits, Andrew? Andrew - I do not. Especially not through storm clouds. Dave - It's probably very wise. If you're in a storm cloud, then essentially you're in something which isn't a very good conductor, it's mostly air, although you also get a bit of water in there with raindrops. If you're there, especially if you've got a wet parachute above your head, then you're actually acting there a bit like a big long wire which means that if a lightning bolt is going to occur somewhere in that broad area, it's probably going to find a shortcut, essentially down your parachute through the ropes, down through you and out your feet. Certainly, planes get hit by lightning quite a lot, but they are made out of aluminium. That's a very good conductor - acts a bit like a lightning conductor. But I think skydiving, you would probably have similar effects as if you've been hit on the ground, possibly slightly less intense but I think it would be pretty messy. Chris - Ouch! Dave, can I ask you a question which has occurred to me and thanks for the question, Andrew. It was very good. If you're in a lake and it's freshwater, because you're a bag of salt as a living being, and you're therefore a better conductor than poorly ionised freshwater, are you more likely to come off worse if the lightning hits the lake than if you were doing sort of swimming around in the sea? Dave - Yes, very definitely. Certainly, there's lots of instructions if you live in a place with a lot of lightning strikes. As soon there's any possibility of lightning, get out of the water because lightning will hit the water and then that current is going to spread out from the lightning and if you're anywhere near that, that current is going to go through you rather than through the water, and you'll get a fairly serious shock. If you were in salt water you would get a shock, but the current wouldn't concentrate through you as salt water is a better conductor than you are. 03:48 - Is new technology altering the structure of our brains? In September results indicating that neutrinos travel faster than the speed of light were released, this week the same group has released further data. 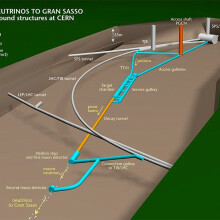 The experiment is spread out between CERN near Geneva and a neutrino detector near Rome called OPERA over 700km away. In CERN groups of protons flying around the LHC ring are redirected down an alternative route and crash into a lump of graphite. This produces a variety of particles but includes a large number of particles called mesons, which have a very short lifetime, they fly down a kilometre long tube where some of them decay to form an electron and a neutrino. These neutrinos hardly interact with matter, so they easily pass through the 700km of solid rock, and then a tiny proportion of them interact with plates of lead in the OPERA detector inside a mountain in Italy, producing a signal which can be detected. The experiment was designed to investigate whether neutrinos change over time, and to measure how much slower than the speed of light they travel, which would give information about their mass and behaviour. The very surprising result was that they appeared to be travelling the distance about 60ns faster than the speed of light, travelling about 2.5 parts in 100 000 faster. This would indicate fundamentally new physics and extraordinary claims require extraordinary evidence, and they have had a variety of suggestions from the community on how they could improve their results. So they have gone away and tried to improve the resolution of their results. They have tried to get a more accurate measurement of the relative positions of the two facilities as the time difference could be explained by an error of position of about 180m. They have also made the bunches of protons that create the neutrinos shorter which makes it easier to measure the exact time they arrive. And seem to give the same result. This is interesting but there is still a lot of evidence to overcome, for example in 1987 there was a supernova in the large magellanic cloud which produced both light and neutrinos and they both arrived here a few hours apart where as with the difference of speeds they were finding at CERN you would expect a difference of a couple of years. These neutrinos were lower energy than the ones produced in this experiment so it is possible they behave differently, but without independent confirmation I wouldn't start ordering your faster than light spacedrives yet. 11:28 - How do flu viruses spread so rapidly across the globe? How do flu viruses spread so rapidly across the globe? Chris - Okay, Les. Very good question and very topical too because we're expecting flu to arrive in the UK at any moment. There are lots and people out there scrutinising what's coming in to testing laboratories all over the country to start logging the arrival of the virus and then tracking where it goes. And the fact is that flu is an infection of humans and that to infect someone, you have to come into contact with a virus that a person has made. We know where flu comes from. It comes originally from birds and specifically aquatic birds. They infect humans but also other animals like pigs and periodically, humans infect a pig with a strain of human flu, a bird infects a pig with a strain of bird flu, the pig mixes the two together and you produce a new strain, a pandemic strain, that comes back out of the pig, and it goes back into the people. Actually, how it spreads though is again down to either birds or humans. Now birds can fly and that means that even though people can't necessarily walk across the ground surface more than a certain speed, birds can carry infections very, very quickly because they can fly very quickly. So certainly, some of the pandemics that we've seen in the past probably were accelerated or assisted in their spread by animal movements. But nowadays, this has been really brought down to be a minor contribution because the dynamics of human populations are absolutely huge. In the year 2000, the House of Commons working party, a government working group assembled to look at air travel, estimated that at any moment in time, there was about 500,000 people airborne around the Earth at any moment. And the reality now is that where historically, if you'd wanted to go from say, Sydney, Australia to London, then it would've taken you months to do that journey. And if you were incubating something in Sydney when you left, by the time you got to London, you would either be dead or better. Now because of air travel, you can be on the other side of the world in less than the time it takes you to develop symptoms of an infectious disease which means you can leave, be fully infectious, and infecting people en route, and you won't even know you're ill yet. And so, as a result, these pandemics are being accelerated or the risk of their transmission is being accelerated by modern air travel and we saw this with SARS in a very big way. We don't think that flu comes from space. There are some people who do think that but we don't think that that's true. We have pretty good idea as to how it spreads, but we certainly have to keep our eye on modern transport because it's a big worry. Because if we aren't very vigilant and we don't watch what people have and where they go with it, and what animals have and where they go with it, then as the population increases, we're going to see more and more risks in this kind of thing happening. You just have to look at what happened with SARS in 2003. That got thousands and thousands of people, 8,000 people in a very short time. At a time when the world was gearing up for weapons of mass destruction release because we thought Saddam Hussein was going to unleash weapons of mass destruction of an infectious nature on the world, and luckily he didn't. But the whole world was prime for that to happen and SARS still ripped through all of that without too much trouble. But it's a really interesting question and thank you for that. 15:03 - How do neuro-enhancing drugs work? How do neuro-enhancing drugs work? Hannah - Well, neuro-enhancing drugs are also called cognitive enhancers or they're known as smart drugs, and they're basically pharmacological substances that are thought to improve certain aspects of cognition and brain function. The important point about this is that pharmacological influences on cognition are not completely understood and cognition itself is a very complicated and multifaceted aspect of brain function. It encompasses numerous mental functions including attention, executive function, planning, problem solving and inhibition, spatial, verbal learning, and memory. Cognitive enhancers include, for example, methylphenidate, also known as Ritalin, which is prescribed for the treatment of attention deficit hyperactivity disorder, also known as ADHD. Ritalin has also been bought over the internet and taken for cognition. It's thought to increase the concentration of neurotransmitters which are chemical messengers in the brain and specifically thought to increase concentration of dopamine and noradrenalin by blocking their reuptake, so that then these neurotransmitters are freely available to land on their receptor and activate the nerve cells then. How exactly this leads to an increase in certain cognitive aspects isn't really known. So, it's a new area really, cognitive enhancers and neuroscientists are trying to understand a bit more about it. Chris - There was a rather worrying stat wasn't there that I think that Nature, the journal did a survey, and something like one person in five who is an academic said that they had or would definitely take these drugs if they thought it would buy them an extra night's work ahead of an important deadline. Hannah - Well yes. It seems to be a trend for an increase prevalence. There's an increase number of people that are going on to the internet and buying these cognitive enhancers which is quite a dangerous thing to do really because you don't know what you're buying. It's not a prescribed thing that you're getting from the doctor. You don't know what you're actually going to get. And even more worrying is the fact that there seems to be an increasing number of students that are using these drugs because there's pressure on them to get good grades, and they think that they can use these drugs to increase their attention. Well actually, the adolescent brain and the 20 something year old brain is really plastic and we don't know the effects these cognitive enhancers will have in the long term. And really, if you want to enhance your cognition then why not use the tried and tested method that's exercise and sleep. Chris - I thought you were going to say coffee. Hannah - And coffee as well! Chris - Yes, Marcus du Sautoy, Professor of Maths at Oxford was on this program and said, "Mathematician is a machine for converting coffee into mathematical formulae and papers." Over 32, 000 neuroscientists, from around the world, converged in Washington, DC, this week for the 2011 Society for Neuroscience Conference, which included over 16,000 presentations! Christopher Morgan, at the University of Pennsylvania, showed that stress experienced by a pregnant mouse can affect the subsequent behaviour of her sons, and even her sons' sons. Exposing pregnant females to stressors - like the smell of a fox - during pregnancy seems to trigger heritable changes that make subsequent generations of males more stress-sensitive themselves, and also have lower levels of the hormone testosterone. The effect, the researchers found, is down to changes in the levels of a family of gene products called microRNAs, which are used to control the activities of other genes. Exposure to stress switches the profile of these microRNAs so that the brains of developing male foetuses express the same gene pattern as the brains of developing females, triggering a feminising effect. And because the changes are brought about by what are called epigenetic modifications - this is where chemical groups are added to DNA to control the activity of certain gene sequences - the effects are also inherited by future generations. The conference also has a public lecture series called Dialogues in Society. This year's topic was timely: it focused on how behaviour, and its biological bases, drives the economy. Dr. Robert Shiller, who's an economist, together with a panel of neuroscientists, discussed the role of decision-making in driving the volatility of money markets, currencies, stocks and commodities. What they were asking is whether an understanding of the biological mechanisms of reward anticipation, risk-taking, and emotion also play out in financial scenarios too. This is a relatively new area of inquiry called "neuroeconomics"! There was also a session on risk aversion and decision-making, which looked at how the brain tries to maximise the sizes of rewards and minimise losses, including in gambling settings. Danish scientist Dr. Julian Macoveanu found that a drug called ketanserin, which blocks certain receptors for brain transmitter chemical called serotonin, makes people less likely to take a gambling risk, but only after they've already suffered a loss that they judge to be unfair. According to Macoveanu, "When gambling, people tend to be more sensitive to potential losses than gains of similar amounts, indicating that loss avoidance plays a major role when we make risky decisions." He also points out that the finding "may have clinical significance because patients with mood and anxiety disorders, some of which are associated with dysfunctions in serotonin transmission, often overemphasise the impact of negative outcomes..."
23:07 - If neutrinos move faster than light, is time travel possible? If neutrinos move faster than light, is time travel possible? Dave - Essentially, if you take all of Einstein's equations - the first thing it says is that to go at the speed of light, you need an infinite amount of energy which kind of means if you go any faster than the speed of light, if you get out of the speed of light, you need, in fact, energy and all the equations explode, and everything breaks. But if you put the numbers where you're going faster than the speed of light in there, you sort of get some results which seem a bit more meaningful. It gives the appearance that light - that time appears to be going backwards for you if you are travelling faster than light. And it essentially makes the direction which you're travelling in seem to look a bit - mathematically - it look more like a time axis and certain time look more like a normal axis. So, it's possible that space and time gets really confused for you if you're going faster than the speed of light. But fundamentally, what I've said at the beginning was that all of our maths, our physics, breaks if you can go faster than the speed of light which means we don't really know until we can actually test it, and we get a better theory. 24:30 - What are the implications of faster than light neutrinos? What are the implications of faster than light neutrinos? Dave - The whole thing is working on the axiom, the assumption, that the speed of light is the maximum speed you can go. I mean there are possibly some ways in which you could conceive that it wouldn't entirely break it and possibly, if space was really curved - space is a bit curved on Earth because there is a load of mass in the Earth and mass bends space - you could imagine that maybe the neutrinos are kind of taking a shortcut around the curve or something odd, but yes, we don't know fundamentally. We would need to know how something is going faster than light. We don't even know if the results are, real or not. 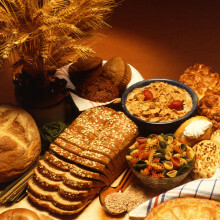 Chris - Dr. Denis Burdakov is a Neuroscientist and he's been looking at how the brain ensures that we eat a balanced diet. Denis, welcome. 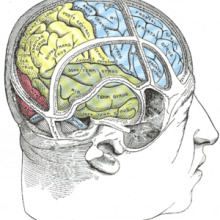 Chris - First of all, why is it important that the brain can register what we're eating? Denis - I think it's import ant for two reasons. The first of those is that in order to respond to energy deficiencies, sort of to a fall of nutrients in our blood, we need to change our behaviour, we need to change eating behaviour, we need to find food and so on, or stop eating if we are getting too many nutrients. Behaviour is controlled by the brain so that's why it's important for the brain itself to sense the nutrients in the body. Chris - But also, not just pile in tons of glucose and nothing else. 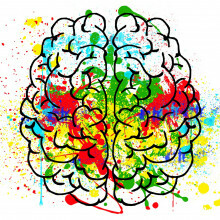 In some way, the brain knows what particular micronutrients. Because if you study an animal in its natural environment, it tends to eat a diet that's right for it, arguing there's something behavioural about searching out the right foods that are right for that animal's metabolism. Denis - That's correct and it's been quite mysterious how the brain does this because most studies looked at effects of glucose on special brain cells which regulate alertness and food seeking. Things like how protein components and fat is sensed have been much more elusive in mechanistic terms. Chris - So how did you set about trying to answer that then, to work out what the brain is doing to register when I go for dinner, what micronutrients I've consumed? Denis - So we were originally motivated by the recent findings that our diet and our sleep patterns are so closely related. You can kind of mess up your sleep by eating a high fat diet and on the other hand, if you mess up your sleep, if you have a jet lag and so on, you can over consume food and develop obesity and diabetes. And we're actually working on brain cells that regulate both wakefulness and feeding: they simulate wakefulness and they drive feeding, and we were putting different nutrients on these cells to see whether these cells themselves as well as controlling behaviour can actually measure what nutrient levels we get in the body. Chris - In other words, you'd squirt some glucose onto them, some sugar, they might change their activity, but then you could also ask, "Well what happens if I give them a dose of the amino acids, the building blocks of protein for example?" Denis - Exactly. So we started with sugar about 5 years ago and we found out that amazingly, if you increase the concentration of sugar around these brain cells called orexin neurons, then the cells fall silent and they don't emit these impulses anymore, that they drive wakefulness and food seeking. So more recently, sort of this year, we asked, what about other components of meals? We don't just eat glucose. There is always some protein around. So we mixed together an amino acid mixture based on the egg white composition. So these proteins in egg white get digested to a certain combination of amino acids, and it's known at what concentrations these amino acids reach the brain. So we mixed this together and we put them on those wakefulness promoting orexin neurons, and we expected the cells to fall silent because glucose silences them. But actually, we found that these egg white-like amino acids stimulate these wakefulness promoting neurons. Chris - So in other words, they are registering some of the micronutrients that we're eating. So there are specific cells that are specifically sensitive to some of the things that are coming into the body. Denis - Absolutely. So in the brain region called the hypothalamus, there are several populations of cells that can sense nutrients selectively but the new thing that we found is that all nutrients don't do the same things. Some nutrients can upregulate the activity of these brain cells which stimulate food seeking behaviour, other nutrients can shut them down and we think we now are looking at this population of cells that control the balance between different nutrients in the diet. Chris - If you look at amino acids, because they come in two flavours don't they? They come in the kinds that we can make in the body. They also come in the other flavour, the kind we can't make in the body, and we have to eat. And if you become deficient in those, you have metabolic problems. So are these cells differentially sensitive to those different flavours, for want of a better word, of amino acids? Denis - They seem to be extremely differential to the two groups of amino acids. So the essential amino acids, the amino acids you cannot make and you need to consume, these cells effectively do not see, but the non-essential amino acids are potent stimuli of these cells that drive feeding. So we think - the point of this is that if you consume a meal which is unbalanced then it has too many amino acids that you can make in the body and you don't really need, these cells will make you keep eating until you find and consume essential amino acids thereby providing the body what it really needs. Chris - Does this shed any light on the claim that if you want to not end up hungry again by 11 o'clock in the morning, eat a big fried breakfast that has got loads of protein in it. You know, the bacon and the eggs actually help to stave off hunger for longer. Does it help us to understand why that might be true? Denis - Well actually, it's almost the opposite for what you'd expect. You think if you eat a lot of proteins, especially proteins which are non-essential amino acids, you would actually - you might get hungrier quicker, but you also feel more alert. So, these cells will make you more alert, possibly more efficient at work if you eat a protein rich breakfast. Another thing these cells do apart from driving feeding, they actually tell the body to burn calories through thermogenesis and so on. So the net effect on calories is actually negative. So they tell you to burn more calories than the calories you consume. So these cells will kind of - they might make you hungry, but they will make you more alert and they would actually keep your body weight down overall. Chris - so to finish off Denis, if we could target these neurons then in people who have a tendency to overeat, we can make them burn more energy but maybe also, eat less in the first place so their weight would come down for two reasons. Denis - Well, absolutely. That's the exciting thing. Possibly, we could find a dietary combination of nutrients which can tune the cells and control body weight as well as alertness, and that's what we're working on right now. Chris - Super! We'll leave it there for a second. That's Denis Burdakov. He's from Cambridge University. He published the work he's just been talking to about in the journal Neuron this week. 31:38 - How can a spaceship change direction? How can a spaceship change direction? Dave - Okay, I'll start off with the first question. The way a spaceship changes direction, accelerates, and decelerates in space is by pushing on something. It does push on something but because there's nothing up there, it's going to take the thing it's pushing on with it, and the thing it pushes on is fuel, so it maybe burns hydrogen and oxygen, those two react, get very hot and you get very, very hot water flying very quickly out of the back. It's a bit like if you've ever fired a gun, the gun fires a bullet out one way, but the gun gets kicked backwards into your shoulder in the other direction with an equal and opposite amount of momentum. So if you imagine a spaceship is a bit like a gun firing a bullet in one direction, so it gets pushed in the other direction. As for satellites, things like the International Space Station which is flying at about a couple of hundred kilometres up, it does fall downwards relatively quickly but it has a rocket on it which keeps pushing it up occasionally and they'd have to send up more fuel for that quite regularly which is one of the major things they have to do to keep it running as well as taking up food for the astronauts and things for them to do. The other thing is that just because the orbit was at the maximum 500 miles, it doesn't mean the whole orbit was at 500 miles. It could mean it was quite elliptical. So rather than being exactly circular, if it's very elliptical, the lowest point of the orbit could've been very low, maybe 150 km up, or something like that. At which point, when it came in the lower bit, it would go too close to the atmosphere, it will get slowed down a lot and so, its orbit would decay away quite quickly even though the highest point of its orbit was relatively high. 34:28 - Is it hygienic to eat after handling money? Is it hygienic to eat after handling money? Chris - I went looking at this because I think it's an interesting question, and I went to several sources. One of them was the book I wrote in Australia and it's called Stripping Down Science. It was out last year and I wrote a chapter in there called Sugar and Spice, and All Things Nice and E. coli. And the first line is "If girls are made of sugar and spice, and all things nice, then why are their hands covered in E. Coli? This is actually a report from a lady called Val Curtis from the London School of Hygiene and Tropical Medicine on the global hand washing day project she ran. This was back in 2008. They sent students who were doing a Masters with them to prowl up and down the lines of queuing commuters at train stations and public transport places all over Britain on this one day and they swabbed 400 sets of hands. And they wanted to see what they could grow. Now I just quote from the book because I could never remember all this in one go. So I'll just read you what I wrote: "Over 400 commuters consented to have their hands swabbed down to see what was lurking on them. The samples went to the microbiology laboratory for culture and identification. Nearly 30% of them tested positive for the presence of faecal bacteria including Enterococci and E. coli to common gut bugs. Yuck!" And then I say, "It actually stratified by what job you did. So manual workers tested positive 10% of the time, they were the best. And professionals, like you and me, they came up red handed in about a quarter of cases" and I say here, "The real Typhoid Mary's with a whopping 40% contamination rate turned out to be - do you know what? Either of you? What job? Hannah - You're going to say scientists aren't you? Chris - No, Administrators. How's that for justice? Anyway, also there's a geography here. If you go further up north in Britain, you're more likely to have these bugs on your hands than people in London, and the worst of all, the worst people are bus travellers apparently. "So, it's approximately one quarter of rail commuters were found to be carrying more than just their luggage", I said in that book. Anyway, so that proves that people, just by going about their daily business, are covered in muck of a faecal variety. Now these bugs are not necessarily nasty in a sense that they won't give you very bad dose of gut rock, but they are a sign of bad hygiene being practiced, right, that's the first point. Then I went on, "If people handling money, we know that microorganisms will transfer easily between those hands that we now know. In 1/3 of cases are covered in stuff and the money". And so then I asked, "Well who's done research on what's on money?" So what I found ranges from 30% of bank notes through to 94% of bank notes are covered in the same sorts of bugs as reported in Val Curtis's study that I wrote about. And also, coins are slightly better than notes for obvious reasons. Metals, if they've got iron in them, iron tends to be toxic to some bacteria because it sets up oxidative reactions that breaks down the bugs. Copper also tends to be slightly lower carriage rate, paper money, really nasty, and there's also traces of drugs in there as well. So the answer is yeah, there's probably all kinds of nastiness all over those bank notes. Eat them at your peril. I mean, the point is being made, right? I find this funny...When you go to restaurants and things, or those fast food outlets, the people are wearing gloves, aren't they? And the idea here is I'll put gloves on because then I'm not touching the food I'm going to hand you. And then you hand them the money. Do they take their glove off? No. do they have someone separate who's collecting the money? They made your sandwich with this lovely gloved hand and when you give the money that they touched with their glove and they use till on everything, and then they go back and make another sandwich. So the bugs are basically going straight on the sandwich. No one has spotted the inconsistency in this! Dave - How long are the bugs likely to survive on the money? Chris - Not that long because it's quite dry and so, they do tend to perish quite quickly, but if you're using it merely as a sort of vector where it's on your skin, it goes on the money, it goes on the person's gloves, then on the food. Then the bug is very happy because it's now on the food. There's lots of Staph going on the food, there's lots of other things like E. coli going on the food. Staph is a bad one because Staphylococcus aureus makes a toxin and that toxin actually is heat stable. So if it gets in the food, the bugs grow and make lots of toxin, it goes in the food, and amplifies up. Then even if you heat the food up to kill the bug, the toxin is still there and you get gut right afterwards. That's bad. So you don't want that. So watch out. If they're wearing gloves and then they take money off you, make sure they change their gloves afterwards. Robert - I'm just going to open the cage. The snake just bit the microphone! You can see how very, very alarming that sound is. Sue - Indeed! But even in daylight, the snakes inside Liverpool's Venom Unit are scary. Get too close and as Nicholas Casewell explains, your chances of survival are slim. Nicholas - The venom that they have is incredibly potent, they've got a really - so when they're injected into your blood stream can really do horrible damage to your body. So, you can have effects such as bleeding, you can bleed from your eyes and from your gums, you can have what we call tissue necrosis where your tissue actually dies, so you will often see that when people are bitten on their feet or on their hands, the tissue eventually turns black and this can often lead to amputations. And then the snakes that are actually here, the mambas, for example, these are what we call neurotoxic snakes. When they inject their venom they stop their prey moving and that's how they are able to eat them and they do this by injecting their venom which actually stops the animals from breathing so they get paralysed. Sue - Rob, you're the head of unit here, are the snakes representative from one area in particular? Robert - We primarily have a focus on the snakes here from Africa because we're trying to do something about the snake bite problem in Africa. Sue - How serious a problem is snake bite in Africa? Robert - It's very serious and it's been estimated that at least 32,000 people die every year from snake bite. And also, there has been something like 8,000 to 9,000 amputations as a result of snake bites. In some areas of Africa, particularly the rural savannah areas it is not unusual to have hospitals where 7 out of 10 patients are snake bite victims. Sue - The snakes are collected from Africa and brought to Liverpool where the venom is extracted and sent to anti-venom manufacturers in Wales and Costa Rica. 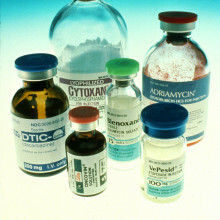 Small subtoxic doses in animals then generate an immune response so that antibodies can be collected to make an anti-venom. Nicholas - The anti-venom that you use is specific to the species of snake that was used to make the anti-venom and this is really the problem that we have with anti-venom production that we haven't been able to produce say, an anti-venom that works against every species. There are some anti-venoms which were made where you used the venom on multiple species to make the anti-venom. Sue - A sor t of one bite fixes all, cures all? Nicholas - Kind of, that's right. But the problem is then that the anti-venom is specific to three venoms, say, for example. And this is a problem because it means that whichever snake you're bitten by, the antibodies are only specific to a third of that and that means that you need three times the dose of your anti-venom which of course if far more expensive for people, particularly poor people, it also brings in some potential safety issues as well because large amounts of anti-venoms can cause problems. Sue - So how do you improve the anti-venoms that are available then? Nicholas - Well one thing that we're looking at doing here in Liverpool is trying to improve the use of an anti-venom against more than just the species that it was used to make that anti-venom. And we've been looking at saw scaled vipers, which are quite small African snakes - up to 80% of all the deaths in Africa are by saw scaled vipers. So what we've looked at doing is in the laboratory we've been looking at testing the anti-venom that exists against West African saw scaled viper venom and we've been trying to see whether this would also work against other sort of scaled vipers from, say, North Africa and East Africa, and we were really surprised and delighted to find out that it did work in the laboratory and we've been able to show that we can prevent lethal effects of this venom with the anti-venom use for West Africa and that's really important because it means that we can look at expanding the use of the anti-venom from one small geographic region to a much larger region, and that's good for patients, and it's also important for the anti-venom manufacturers because it increases the demand for their product and that means that they can reduce the cost to poor people. 44:04 - Are bee colonies incestuous? Chris - Well actually, the bees aren't all genetically identical. 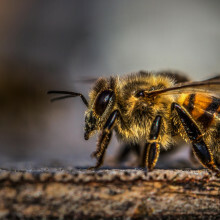 What happens is that a queen bee comes out of the nest when she's young and she releases a pheromone and she attracts something like up to 16,000 male bees called drones. Those male bees, about 200 of them, that are lucky enough will mate with her and she will collect millions and millions of sperm. She then goes back to the nest with the sperm and uses for the rest of her life, maybe 7 years or more, just to fertilise eggs. So she's got a mixture of sperm from different drones there. That's the first point. The drones are all themselves haploid, in other words, they only actually have one set of genetic material. So all of their sperm are genetically identical and the effect of this is that the worker bees, which are all female actually, because they're not haploid they're diploid, they actually have both male and female chromosomes in them. And as a result, they are all 75% genetically identical to each other. So if they actually were to start reproducing, they would produce less genetic diversity in the colony than if the queen reproduces by mating with the drone using the sperm she's got stored. So it's slightly more subtle than you thought and it does actually work very, very well because the bees are a collective colony, the sisters, because they're also so closely related - these workers. They're actually working towards helping the queen to reproduce because then their own genes are being passed on more efficiently than if they were to actually start mating internally within the colony. The queen does actually police this. She does actually stop the workers trying to reproduce. But, as the queen gets older, this can occasionally begin to happen. It's a sort of escape. 50:06 - Can we build a lightsaber? Can we build a lightsaber? Dave - Depends exactly what you mean by lightsaber. Producing a kind of beam of light which is coming out of an object which is incredibly powerful and can cut through things, that's not impossible. But we certainly couldn't get anything nearly as powerful as that. We can't get laser that powerful in anything like that size of container, but we can get lasers which will cut through things within the size of a house, but we'll ignore the size issue at the moment. But the problem is making light suddenly stop at the end of the sort of 2-foot length, unless you put a mirror there it just wouldn't and also, light doesn't interact with other light, so you can't have sword fights with them. They would just go straight through each other and not affect each other. You might conceivably be able to make a plasma sabre so you could somehow constrain some very, very hot plasma into a tube magnetically or something conceivably. I think it would be difficult but just about possible, but certainly not with light. 51:24 - Can dogs sniff out cancer? Chris - Yes, people have done lots of studies on this. The most recent that I read was a study where they took a whole bunch of dogs and exposed them to the urine of patients who had bladder cancer and every time the dogs smelt that, they were given a treat. And so, in other words, the dogs associated the smell of the urine from the bladder cancer patient were getting a treat compared with a non-bladder cancer - control. And they were able to produce dogs which when you put urine in front of them from patients who had known bladder cancer, they would sit down or bark, or do whatever they've been trained to do. And when they did these trials, they found one patient who was supposed to be in the control group who consistently, the dogs all picked, and said this person has bladder cancer. In fact, when they imaged that person, they had a covert renal cancer that was at a very early stage and the person's life was saved because they then went in and did it. They're now developing this technology and in fact, generating e-noses with the aim of sniffing out lung cancers and other things like that because cancers do change your metabolism and therefore the smell of your body and so this can be detected, and dogs just have the very sensitive nose for doing it. 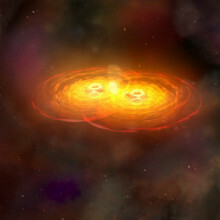 52:34 - What happens when two black holes collide? Martin - One of the things we've learnt in the last 10 years or so is that in the centre of every galaxy, there lurks a black hole which is as massive as a million, or even several billion, suns. It's not quite clear how this black hole formed, but we believe that its formation happened at the same time as the galaxy formed and that the black hole grew as the galaxy grew. We also know that one way galaxies grow is by merging with each other - two small galaxies get close and eventually fall together and make one bigger galaxy. Now, if two galaxies merge and each has a black hole at its centre, then the black holes will of course power towards the centre of the common system and form a binary orbiting around each other and the question then is what happens? We think what happens is that various drag forces bring the holes close enough that so-called gravitational radiation then carries away more energy. Gravitational radiation is something predicted by Einstein's theory to happen whenever a gravitational field changes rapidly. So when two black holes get close enough, then gravitational radiation from them carries away a lot of energy and that brings them closer and closer until they eventually merge into a single black hole. And in the final coalescence, a huge burst of gravitational radiation is emitted and this is a challenge to detect. But the biggest events of all would be the gravitational bursts from these super massive black holes which merge and there are plans to have arrays in space which could detect the slight jitter in space that happens when these black holes merge. Diana - The meeting of two black holes will produce a large one and it will also produce lots of energy in the form of gravity waves. But that happens when the two black holes are of different size. Martin - So we believe that these black holes are merged and it's by this process that eventually, some of them accumulate masses as much as in some cases, 5 billion times the mass of the sun. There's another interesting consequence. It's being possible for the last few years to actually do computations of what would happen when two black holes merge and when the black holes are of an equal mass, then you get a rather interesting effects namely recoil. The final merged black hole doesn't necessarily sit in the centre of the merged galaxy. It's given a kick and sometimes this kick could be big enough to expel the merged black hole from the galaxy it's in. So, the final thought I leave you with is that it could be some of these huge black holes hurtling through intergalactic space, having been kicked out by the huge recoil speed from the galaxy in which they formed. Diana - So beware of a super massive black hole flying through space like a very dark, very heavy, juggernaut of the skies. Next Why would Humans Explode?